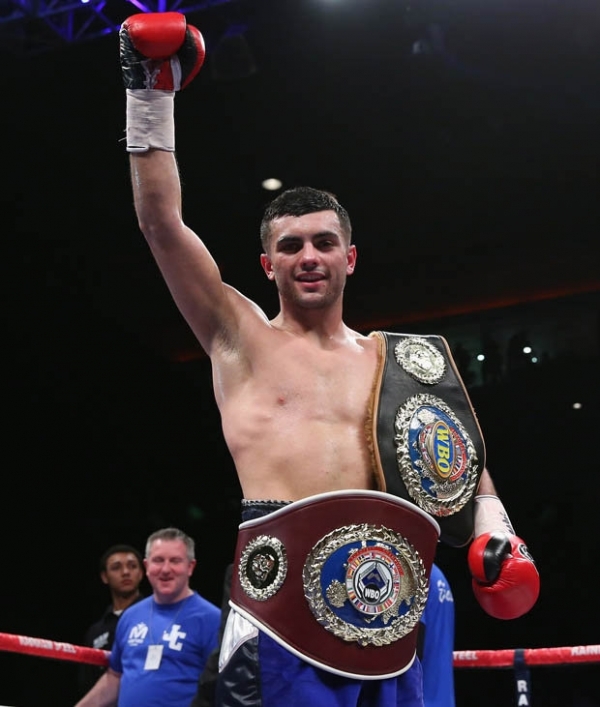 British hot-shot Jack Catterall says his confidence is sky high after sparring with greats Floyd Mayweather Jnr. and Saul Alvarez ahead of his WBO Intercontinental Light-Welterweight title defence on Saturday 20th June at the Liverpool Olympia. Catterall features as chief-support to the comeback of former IBF World Bantamweight Champion Paul Butler, plus Merseyside stars Tom Stalker, Steven Lewis and Andrew Cain, and top Manchester prospects Adrian Gonzalez and McCaulay McGowan. “It was like a university degree crammed into six weeks, but what I got back is experience that for a young fighter you just can’t buy. It’s a massive boost to my confidence that will show in my performance at the Olympia. “Floyd is the greatest fighter of the modern era and it was an honour to share a ring with him. He’s a wizard in terms of defence and to get near him was very hard, but I learnt plenty from him. “I ended up sparring with him twice a week as he was building towards the Pacquiao fight and I had to copy Pacquiao’s southpaw style in the ring. “He was very accurate and precise and if you made a mistake you’d end up paying so I had to be sharp at all times. I believe that I go the Floyd’s respect and also from his team. “It was totally different sparring with Alvarez and I ended up spending two weeks with him. “He’s a really top guy and very respectful, but inside the ring he’s a powerful fighter with a great offence and and defence. “Against Alvarez I could retain my own style which suited my more and we had some great spars. “He looked sensational against Kirkland at the weekend and he’ll be the main to take over from Mayweather as the best pound-for-pound in the world. Catterall’s trainer Lee Beard, who escorted his charge to Las Vegas, added, “Jack’s been in with the best pound-for-pound fighter in the world in Floyd and arguably the soon to be best in the world in Alvarez. What hungry, young, up-and-coming fighter would say no to that? “He did great against Floyd and Canelo over the six weeks and did countless rounds with both of them, it’s certainly improved his all round game, especially his timing and defence. “Jack’s a great talent and a keen learner, he picks certain techniques up very quickly and adapts it into his own style. Mayweather is a master boxer and knows every trick in the book so for Jack he was an encyclopedia. “He also got some rounds in with Mickey Bey, the IBF World Lightweight Champion, and another top welterweight in Said Ouali.